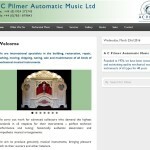 A C Pilmer Automatic Music Ltd is an international specialist in the building, restoration, repair, packing, moving, shipping, tuning, sale and maintenance of all kinds of mechanical musical instruments. This site is managed by Richard Gentle. “I have been very pleased with the construction and ongoing development of our website over the past year or so which you have carried out for us. “You will recall that I expressed initial concerns over the difficulties of working with you from a distance, but these have since been proven completely unfounded, as it has been possible to build and perfect new web pages using a combination of e-mail and telephone communication. You have been able to carry out minor changes just over the phone, and I have been able to see the alterations you have made within moments, this being the most efficient and time-saving way of doing this. You are easy to contact, and are able to respond quickly when something requiring urgent action occurs. “As well as getting our own words and pictures onto our website, you have also greatly assisted in improvements to the clarity, layout, wording and content, and you have been able to enhance a number of photographs which otherwise would not have been of good enough quality to include. Your input has also encouraged us to include some items to the site which can be purchased securely online, and we hope to develop this aspect of our site in the future. “Your involvement has also gone beyond the construction and maintenance of our website but has extended to the distribution of an occasional e-newsletter to our subscribers, so that we have been able to evolve a comprehensive marketing strategy across several platforms, with a common corporate appearance, leading to better brand recognition. Your assistance with proof-reading has helped to ensure that our written material is consistently of high quality, reflecting the nature of our business. With your help I hope we can continue to be proud of our website, which I believe to be one of the best in our particular field.” – Andrew Pilmer, Managing Director. 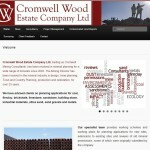 Cromwell Wood Estate Company, trading as Cromwell Mining Consultants, has been involved in mineral planning for a wide range of minerals since 2002. The Mining Director has been involved in the mineral industry in design, mine planning, Town and Country Planning, production and restoration, for over 25 years. This site is managed by Richard Gentle. 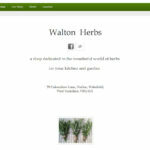 A shop dedicated to the wonderful world of herbs for your kitchen and garden. (This site is now managed by its owner). 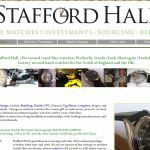 Stafford Hall specialises in sourcing and sales of investment prestige watches, both new and used. Serving the Yorkshire areas of Wetherby, Leeds, York, and Harrogate, they supply luxury second hand watches for the North of England and the UK. (This site is now managed by its owner). 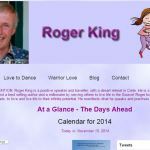 Roger King is a professional Counsellor. He is also a DJ, Dance facilitator, and author of several books. This site is managed by Richard Gentle. 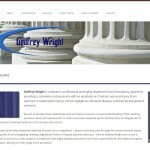 Godfrey Wright is a professional Costs Consultancy, providing a complete costing service with an emphasis on claimant personal injury. This site was set up by Richard Gentle, but is not managed. 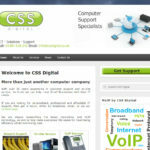 Personalised, professional and affordable IT support. (This site was improved by Richard Gentle and is now managed by its owner). 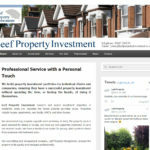 Property investment portfolios for individual clients and companies, ensuring they have a successful property investment without spending the time, or having the hassle, of doing it themselves. This site is managed by Richard Gentle.